A Jesse & Rose Loeb Foundation Grant helped transform a van into an amazing transportation vehicle for aging veterans in the community. 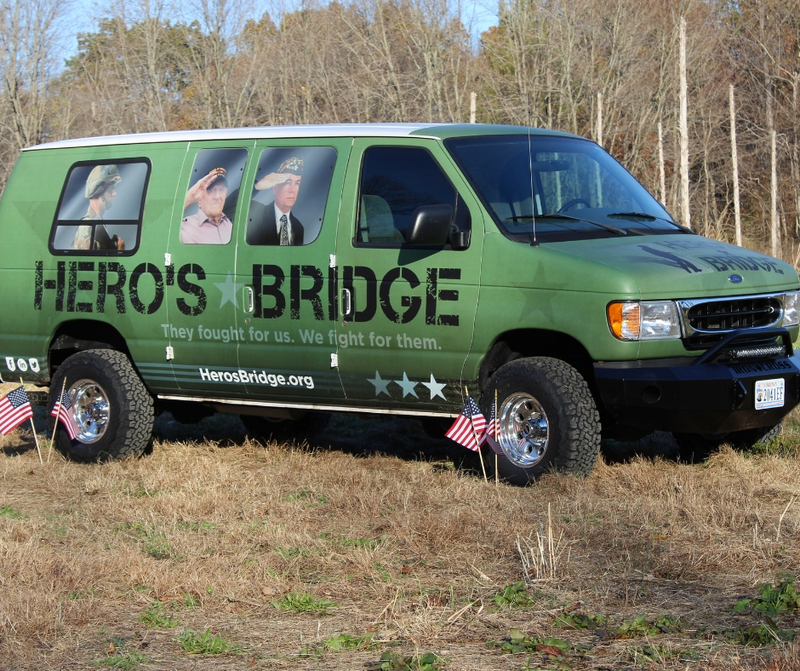 In August 2018, Jesse & Rose Loeb Foundation awarded a $20,000 grant to Hero’s Bridge to assist in refurbishing a 1998 van to transport elderly veterans to Martinsburg, Richmond, or Washington D.C. for VA appointments and healthcare. Fauquier, Culpeper and Rappahannock counties have 12,665 veterans, about half of them are veterans of WW2, Korea, and Vietnam conflicts. Compared to urban veterans, rural veterans have lower health-related quality of life according to a qualitative study of rural older veterans. This same study indicated 33 percent found travel was the strongest barrier to accessing healthcare. Hero’s Bridge is fortunate to have a 1998 Ford Econoline wheelchair equipped van which was donated to us from another veteran’s organization. 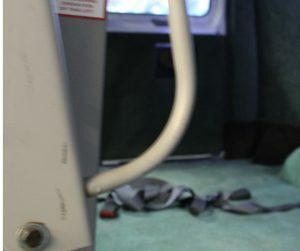 Although the van has low miles and is mechanically sound, it was in serious need of updates and refurbishments. 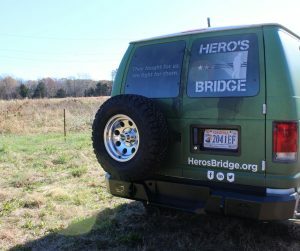 With the grant, Hero’s Bridge is able to modify the van to provide safe, comfortable transportation for our older heroes. The veterans and Hero’s Bridge truly appreciate the generosity of the Jesse & Rose Loeb Foundation and know the financial contribution will positively impact many of the area’s heroes. Thank you and enjoy the Hero’s Bridge van transformation video. Honor trips to local monuments and museums. Interior is fitted with camouflage ceiling and green carpet to honor our older heroes time in the military. 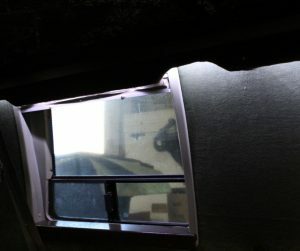 Interior lighting above the windows provide a nice perk for aging veterans traveling in the Hero’s Bridge van.